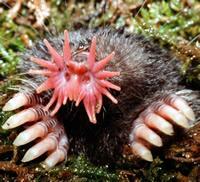 Have you ever heard about the 'star nosed mole'? It is probably the only animal who appears to have an extra pair-of-hands... on his nose! 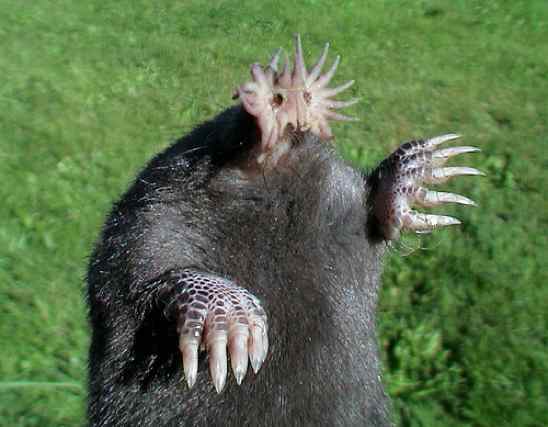 Re: The star-nosed mole has an extra pair of hands... on his nose! So adorable and fascinating! It's interesting studying the sensory function of these appendages. That's the image I was looking for, I have it saved on my computer too, but found the other one instead. These moles use the appendages when they burrough and search for prey. They have a heightened sense for vibration in the ground.